When people think about personal storage, most think about storing items like furniture, old junk, or even vehicles. One of the things that most people aren’t thinking about when speaking about storage units is document storage. Despite that, document storage is a common use for personal storage and is actually one of the more important functions of storage. Today, Affordable Family Storage in Jefferson City will look at a few tips for document storage. 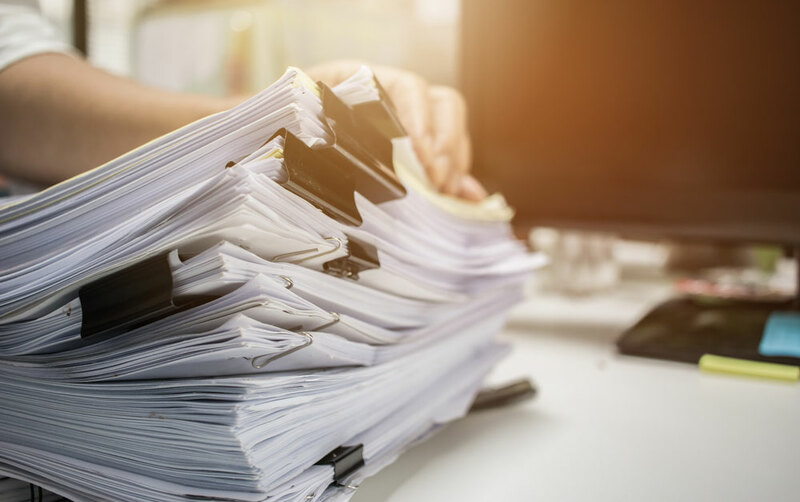 For anybody who has ever dealt with large sums of documents, you know just how frustrating it can be trying to find a specific document when they are in a disorderly stack or just thrown in a folder. Save yourself the headache and organize your documents before putting them into storage. You won’t typically need your documents very often, which is why you are putting them into storage. But if you do need a document and need it quickly, you’ll be able to find it if you properly organize. Making copies is a good principle for document handling even if you aren’t storing them in personal storage, but you should make copies of all of your important documents before putting them into storage. Whether you should put the original or the copy in storage will depend on the document itself and its importance, but regardless, copies will prevent you from losing vital documents. Before moving important documents into storage, make sure that you have copies made and kept in a safe location, like a file cabinet or safety deposit box. With documents, you always want to prepare for the worst-case scenario, which is why copies are so important. One reason people move documents into storage is to protect them against potential disasters like fires or flooding. Nobody thinks these things will happen to them, but if they do and you are not prepared, you could be faced with losing vital documents with no replacement or plan. Invest in a safe. Find a storage facility that has climate control features. Protect your documents from pests. Don’t take any of these things for granted, especially with your most precious information. Storing documents is stressful. You want to make sure that your important information is protected for the long haul. At Affordable Family Storage in Jefferson City, we have a storage unit that is perfect for you. To get a better idea of what we offer, get in touch with us today at (573) 240-8668 or contact us online for more information.